Kathy English, “Public Editor” at the Toronto Star claims that the letter received by Ken Gallinger was real – as is the 70-year-old woman who wrote it. 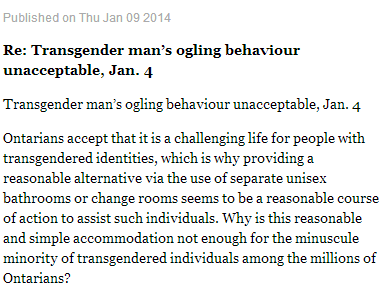 I cannot tell you with absolute certainty that a letter published recently in the Star’s “Ethically Speaking” column from a “senior” woman recounting the inappropriate sexual behaviour of a transgender woman in a Y change room is not a hoax concocted for political purposes. I can tell you I have telephoned and talked to the North York woman whose name is on the email sent to Star ethics columnist Ken Gallinger in October. I have also confirmed that the YMCA of Greater Toronto received a similar letter from a former member in late fall. Last week, an executive of the organization contacted the same North York woman I talked with. If this woman’s letter was a hoax perpetuated by organized forces opposed to transgender rights, as many in the transgender community through North America and beyond have declared with all certainty, then it is indeed a grand and elaborate one played on both the Star and the YMCA. Lets look closer, shall we? The woman would not agree to come forward publicly for this column. She spoke confidentially to me, in line with her expectation of confidentiality in the ethics column. So the Toronto Star doesn’t want to practice Caleb Hannan-esque journalism on the poor woman? She spoke confidentially to me, in line with her expectation of confidentiality in the ethics column. I think we’ve already seen where the Toronto Star’s readers’ expectations that letters presented to them by Ken Gallinger are legitimate rank in the Star’s pantheon of ethical concerns, so I’ll just move on with examining what Editor Kathy has to say. She told me she is 70. She said the incident she described in her letter to Gallinger in which a naked “man” claiming to be a transgender woman behaved inappropriately happened “a couple of years ago” in the late afternoon in the women’s locker room of the Toronto Y on Sheppard Ave.
like blood that has congealed after oozing from the corpse of a murdered trans woman. Please note that as I write this – around noon CST on Jan. 19, 2014 – Janice Raymond is 70 years old. And I mention that not to suggest that she’s lurking along Highway 401 in the Toronto suburbs in her retirement and firing off transphobic e-mails from her i-Phone to the Toronto Star. I do, however, mention it to state as fact that exterminationist radphlegms of Janice Raymond’s generation are 70-ish now. I also mention it to state as fact that not all 70-ish women are the kindly, innocent, heterosexual grandmother type that Editor Kathy seemingly expects everyone to presume the woman in question to be. 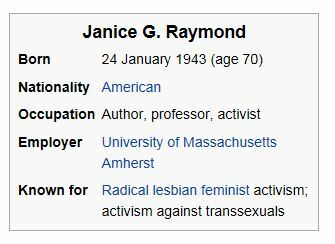 …and in the years since the now-70 Janice Raymond parlayed her hatred of trans women into the sort of tenured position in academia that she and her cohorts were long able to use to prevent trans women from ever obtaining any positions in academia. This is where things get political. Stoking fear about transgender persons in bathrooms is a key nasty ploy of conservative groups opposed to human rights for trans people. As well, conservative media organizations in the U.S. have been called out for reporting fake stories about transgender persons harassing people in washrooms. 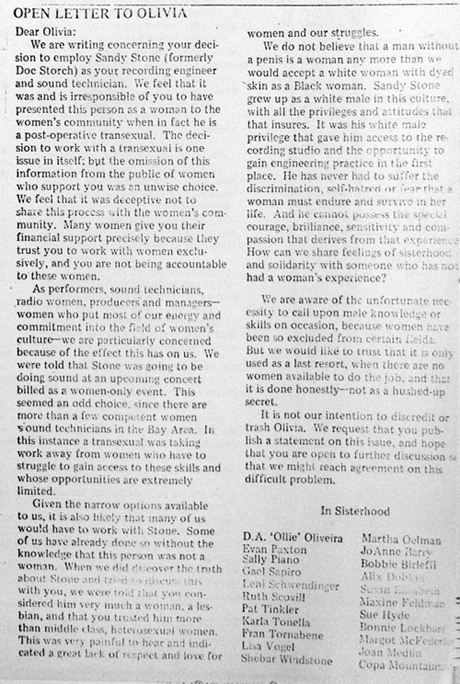 Throw in some fear of the documented practice of what’s called “astroturfing” in which organized lobby groups use letters to the editor, online comments and social media to make it appear that grassroots “real people” are aligned with their cause and it’s not all that surprising that some trans advocates questioned the veracity of the letter published in the Star’s ethics column. But read back over it – as well as her entire piece. and then lying about whether or not they have an agenda. That, apparently, would have to be “a grand and elaborate” hoax. Having talked several times to the woman, it’s a stretch for me to think the letter was some sort of hoax. Having far more familiarity with transphobic radphlegms than you apparently do Editor Kathy, its a stretch for me to believe that you haven’t been had. The mayor of Toronto is no longer the scummiest person in Canada’s largest city. I had, and have, no reason to doubt the claims of the reader who sent the letter — but I can’t prove it, and those who claim it was a hoax can’t prove that, either. All I know is that I stand by the answer offered. I regret, and deeply resent, that my column has been so egregiously misused. Yes, with that, infamous Chris Farley impersonator Rob Ford was dethroned by Ken Gallinger. those who claim it was a hoax can’t prove that, either. The claim is a hoax. A trans woman who goes to the trouble researching into whether the anonymous claim about an unidentified trans woman – a claim which smells of ‘cut and paste’ from both christianist and radphlegm anti-trans scripts – has even the slightest grounding in reality? Or a guy who perpetrates an ‘ethics’ column and inflicts it upon readers who are expected to believe that “All questions come from real readers” even though the same ‘ethics’ columnist follows that pronouncement with the caveat, “Seven years ago, when we started this adventure, I had to “prime the pump” with made-up queries”? The woman who who has not admitted to perpetrating a fraud because she has not perpetrated a fraud? Or the ‘ethics’ columnist who has admitted that he has perpetrated a fraud but really, really, really, really, really wants everyone to believe that he now no longer does such things? I even received a note from a Toronto police officer asking, very politely it must be said, to know the “when, where and who” of the incident. As someone who pays speeding tickets 10 days before due, I experience such a request, even politely proffered, as mildly threatening. Wanna know how scummy Ken Gallinger is? He’s forcing me to do something that I never do: defend a cop. Yes, there has never, ever, ever, ever been a proven case of what Gallinger’s fake complainer complained of, but cops do have a job – you know, being cops. If they get such a complaint, it isn’t unreasonable for them to at least lift a finger to see if the complaint is legit – if for no other reason than to investigate as to whether the complaint is fraudulent. And the po’ pi’ful ‘ethics’ columnist feels threatened? 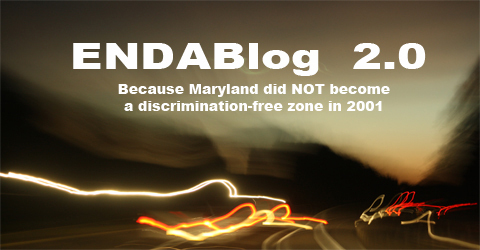 Memo to Ken: Why don’t you ask CeCe McDonald about what it feels like to actually be threatened? Failing that, why don’t you hang out with Rob Ford and do crack with him? That would be stupid, obnoxious, unhealthy, yadda yadda yadda…. But it would be far more ethical than what you’re doing in the pages of the Toronto Star.